A treasured resort town along 7 miles of Pacific Ocean shoreline, Carlsbad is a popular destination for families and individuals of all ages. Whether you’re moving in to a vacation home for the season or settling down for good, working with a professional Carlsbad moving company will make your move much easier. To enjoy the excitement of this life transition without worrying about the details, trust the Carlsbad movers of Coast Valley Moving & Storage, Inc. With over 40 years of experience, our residential movers have the knowledge and skill you can rely on for an efficient move of any size, scope, or distance. Are you planning an interstate move to or from this popular resort city? Unlike many Carlsbad moving companies, we at Coast Valley know that every interstate move is different, and we pledge to treat your relocation with the attention to detail and supportive care it deserves. Since 1972, Coast Valley has offered some of the most professional and affordable Carlsbad moving and storage services. As part of your interstate move—or even as a stand-alone service—we’re happy to provide convenient and secure storage in our state-of-the-art warehouse facilities. Whether you need short-term storage for some appliances or long-term storage for spare furniture, we’ll safeguard your household items in containerized storage units that protect them from humidity and unwanted access. 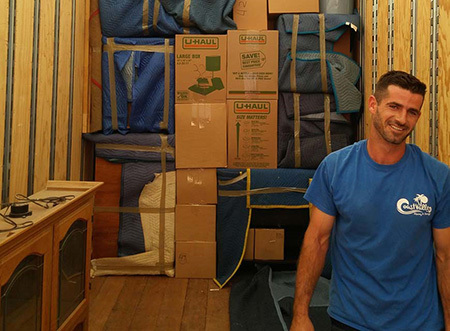 Local Carlsbad Movers: Moving within the area? Then trust our skilled local Carlsbad movers who have been working and living here for over four decades. Interstate Movers: As an interstate agent for Wheaton World Wide Moving, you can rely on the support of Coast Valley and Wheaton to make your move easy. Let our Carlsbad interstate movers take you anywhere you need to go! Small Shipment Movers: For single-bedroom apartments, college dorms, or a small shipment of assorted household goods, take advantage of our affordable mini move services. If you’re ready to start working with the most skilled movers in Carlsbad, give Coast Valley Moving & Storage a call today! To begin with a free, no-obligation cost estimate, just fill out our brief online form now.